Safety is our number one priority on all of our vessels. To ensure that everyone has the appropriate training, our crew members are required to attend a minimum of two safety training courses each year. All safety training courses start promptly at 9:00 am at our office. Your recruiter will supply you with the dates of your trainings which are usually a day or two before you leave to meet the vessel. Please remember that safety training courses are for Ocean Peace employees only. Please do not bring friends or family with you. There is a cafe down the street from the office where family and friends can wait for the employees to finish orientation or use the restrooms (there are no public restrooms at the offfice). How long will I be in the Safety Training Course? You should plan on arriving at 8:45 am to check in for the course. The course will end around 3:30 pm. Lunch will be provided. Do I need to bring anything with me to the Safety Training Course? Yes, please make sure you bring a change of clothing as you might get wet while in the survival suits. Please also bring two forms of identification with you. I live in another state. Do I have to come to a Safety Training Course? Yes, all crew are required to attend safety training. You will coordinate with your recruiter to get the specific dates. All safety training courses are held in our office, as it is the point of hire. Where do I park for the Safety Training Course? 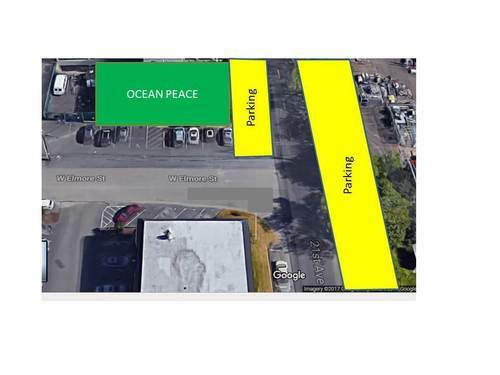 Please do not park in any of the Ocean Peace labeled parking spots. Parking is available along the side of the street.